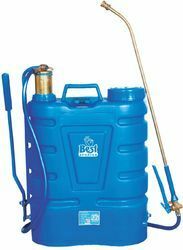 Providing you the best range of 16 litre knapsack sprayer, portable knapsack sprayer, agro knapsack sprayer, plastic knapsack sprayer, manual knapsack sprayer and backpack knapsack sprayer with effective & timely delivery. 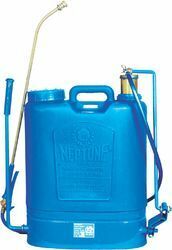 16 Litre Knapsack Sprayers are conventional and most popular equipment used worldwide. They are ideal for spraying insecticides, pesticides, fungicides, herbicides etc. in field areas to protect the crop from pest attack.These Sprayers have multiple applications and are widely used in agriculture, horticulture, sericulture, plantations, forestry, gardens etc. Our firm is involved in manufacturing and supplying a huge range of Portable Knapsack Sprayer. Our firm is involved in manufacturing and supplying a huge range of Agro Knapsack Sprayer. Our firm offers a high-quality range of Plastic Knapsack Sprayer. It is manufactured using top quality materials and latest technology and tested under various quality parameters. 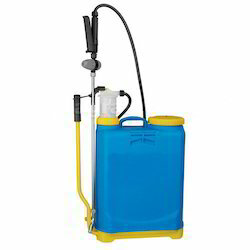 We are engaged in offering our clients a superior quality range of Manual Knapsack Sprayer. We design the given product following industrial standards by making use of best quality material and modern technology. We are leading manufacturer and supplier of Backpack Knapsack Sprayer. It is manufactured using quality raw materials and latest technology. Furthermore, these products are checked on various quality parameters to ensure its defect-free nature. 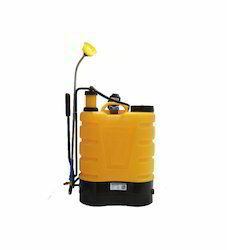 Our firm offers a high-quality range of Agricultural Knapsack Sprayer. We hold expertise in offering the wide gamut of Knapsack Sprayer in the industry. This product is manufactured using high-grade input factors as per the preset industry norms.